How many of us struggle with trust? I know I do. Sometimes you just have to persevere. But it can still be hard to believe what you cannot see. Trust is something I have to work on daily. I am always up for a conversation that is going to inspire me to trust and persevere even when I don’t know the outcome. That is why I was excited to have this discussion with NFL quarterback Case Keenum. On today’s show, we will hear from Case about what it means to trust and how important it is to know who to put our trust in. We will be discussing it all, including his new book – Playing for More: Trust Beyond What You Can See. Throughout his story, Case will explain how being a Christian helped him navigate the windy path to success. No matter what obstacle has been placed in front of him, Case believes God has a plan for him. That’s why he plays football and that’s why he’s writing this book: To glorify God and to help others who face adversity in their everyday life. 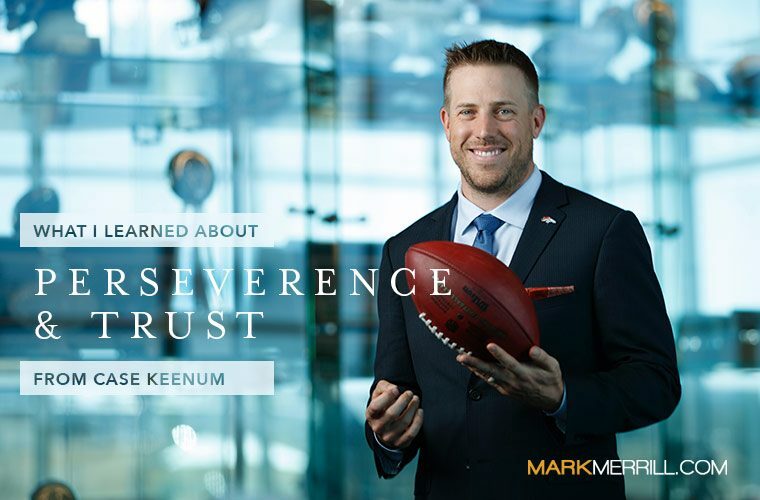 NFL quarterback Case Keenum shares stories from every stage of his life, starting out as a ball boy for his father’s college team in West Texas, going on to win a state title in high school, and rewriting the NCAA record book at the University of Houston and what makes him part of NFL history.